Even in a seller’s real estate marketing, the path to getting top dollar for your home can be fraught with challenges and frustrations. From estimating the perceived value of the property and the number of other similar houses on the market to understanding the trends and standards for modern home designs, there are many factors that go into how much the listing ultimately sells for. Plus, with websites such as Zillow, where shoppers can quickly and relatively accurately estimate the market value of a home based on 100 million listings nationwide, receiving an offer equal to or above what you’re asking can be an uphill battle. Given all the barriers to a quick, easy and profitable real estate sale, you need to use every tactic in your power to gain an advantage as a seller. 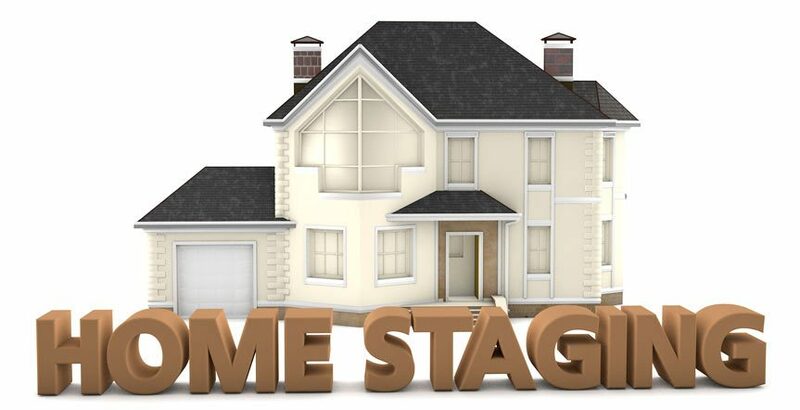 According to US News, the layout of your home is a huge factor for housing resale value, while information from the International Association of Home Staging Professionals states that, on average, staged homes sell 79 days faster than non-staged homes, and sell for 17% more. If you’re considering putting your property on the market, read on for ideas on how to stage a house for sale for the best possible results. A crucial first step in staging your home for an enjoyable viewing experience involves removing everything potential buyers don’t need to see while at the same time giving the positive attributes of your house the opportunity to shine. Decluttering counter tops, bookcases, floors and tabletops is a logical place to start, and an effective method for giving the interior home a quick and easy facelift. It’s also extremely important to address dedicated storage spaces ranging from kitchen cabinets, basements and attics to laundry rooms, garages and outdoor sheds. When home shoppers for instance view a well-organized walk-in closet, it not only shows off the available storage space your home has to offer, but sends the message that this house is big enough to hold your possessions without having to jam most of it away behind closed doors. If you’re having an open house where you are not in attendance, put valuables, prescriptions, personal papers and breakables that are precious to you in storage for safe‐keeping. The public isn’t always as careful as you might like, so if it’s a choice between leaving something breakable out to show off the space, and putting it safely away, opt for storage. And don’t think storing in your home is a viable option ‐‐ every cabinet and drawer will get opened! The attending real estate agents will do their best, but they’re paying attention to the people coming through and can easily be distracted. If you really want to figure out how to sell your house fast for the best price, a top to bottom cleaning is as straightforward a tip as you can get. Because you better believe buyers are looking at every inch of your home with a discerning eye, and nothing turns them off faster than grimy floors, stained appliances or foul odors. Take a thorough approach, like you would for an annual spring cleaning, mopping floors, cleaning walls, doors, ceilings and surfaces in every room and hallway. Be sure to place a particular emphasis on bathrooms and kitchens. Clean ashes out of the fireplace (if you have one), as it can be a major selling point, but not when it’s stained with soot and simply looks like a lot of work. Do what you can to get your wood, tile and laminate surfaces looking shiny and new, and consider replacing worn out rugs and fixing any damaged or broken fixtures such as doorknobs and cabinet pulls. If you don’t have the time, know you’re just not a great cleaner or have an exceedingly difficult task such as polishing or refinishing hardwood floors, contracting professional cleaning help will be well worth the relatively small investment. First impressions understandably set the tone for a real estate showing, and a negative one can be have an impact that’s nearly impossible to rebound from. Make sure when you’re ready to list, you take the time to get your yard looking as lush and healthy as possible, keeping the lawn freshly mowed, trimming hedges and sprucing up flower beds and planters along the way. You may also wish to weigh the return on putting a fresh coat of paint on the house, replacing the shutters or re‐paving the driveway if there’s a particular aspect of the exterior that’s negatively impacting the value. Buyers are not forgiving and they’ll see that crack you’ve stopped noticing years ago. When staging your home for sale, go the extra mile and wash the windows inside and out so they’re bright and reflective and let in the maximum amount of natural light. Also give your gutters and drains a careful cleaning. If you’re showing in the rain, an emerging flood situation isn’t how you want to greet your guests. Effectively staging your home for sale is a matter of looking at things from someone else’s perspective. You want to help them imagine what living in the house would be like ‐‐ for them. So it’s a balance between giving them the space to imagine, and helping them see how you utilize the rooms. A lot of your decorations probably have sentimental value. You may have some furniture that’s cozy, comfortable and practical, but not so visually appealing. These are the items you’ll want to carefully pack away and place in storage until your home is sold and it’s time to move. You want to get rid of the things that could turn buyers off, and fill it with items that make the appropriate impression. Which pieces of furniture in your home are the most attractive? Which decorations set a room off, and which ones are unnecessary? Are there items that detract from the spaciousness of the layout? When considering how to sell your house fast for a maximum profit, remember that every neighborhood and city is different. An experienced real estate agent should be able to help you determine an overall approach to marketing your home most effectively. For example, is your location likely to attract new parents because of the school district, or single people due to the proximity to loca entertainment? The key is performing an analysis of the most likely potential buyers to form a strategy for arranging your home in a way that peaks their interest. Adjust your floor plan for a flow that allows guests to move about the house with a natural ease. Define what a room is, and demonstrate how every room is useable. old wallpaper and even swapping out art and decorations. bedroom linens, choose colors that are neutral and have the broadest appeal. Now that your home is cleaned and decluttered inside and out and properly stage, it’s time to consider the subtle touches that can push your showing over the top. From arranging interesting magazines and books on the coffee table and placing fresh flowers throughout the home to opening shades to let in natural light and using area lamps to emphasis points of interest, it’s all about helping buyers visualize living in your home. Shortly before a showing, crack windows to air things out and light a few candles with a gentle, clean scent. Avoid cooking in the kitchen on days you’re expecting visitors or using strong smelling sprays that make it seem like you’re covering up unpleasant odors. Finally, set the thermostat for the optimal temperature. If it’s going to be an open house, cool things off in advance so crowded rooms don’t quickly become warm and stuffy. If it’s cold outside, make sure to eliminate drafts and turn up the heat just a tick so people are greeted with a warm and inviting environment. Now that you know how to stage your home for a sale, it’s time to put your plan into action. For more on cleaning and decluttering your home and putting your valuable possessions into storage, browse our blog archives for additional information and expert tips.